Drinking coffee is one of the most popular activities that people of Croatia enjoy. It is no wonder that Croatia has a very large number of cafes then. Only in the capital of Zagreb, there are more than 3000 places where you can order a cup of coffee. The quality of coffee has never been the main point of interest though. Coffee has always been just an excuse to spend time with friends, to do business or anything else. Usually, coffee drinkers in Croatia like to drink their coffee strong and bitter, and the reason for that can be found several hundred years in the past. During the Ottoman Empire, Turks brought their coffee habits to the Balkan region. And until today, Croatians reach for an Ibrik or a Cezve as the most popular way of brewing coffee at home. The evolution of the coffee scene in Croatia has had quite an impact on my career: my beginnings as a barista date back to the times the changes in the industry had started to appear. It was very interesting to experience first hand how third wave of coffee was introduced and developed in Zagreb and later in other parts of Croatia. 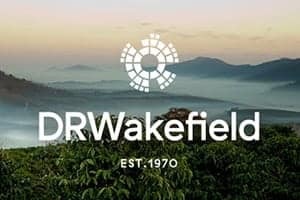 In this article I wrote about developing speciality coffee from my view. Traditionally, coffee would be of a dark roast, with a big proportion of robusta coffee in the blend. Croatians then tend to drink their coffee with loads of sugar and milk. Smoking would usually be allowed in cafes as well. The Croatian coffee house really is very different from what you might imagine. Entering a coffee shop hoping to get a nice cup of coffee, but, instead, finding a place that is full of cigarette smoke is a sacrilege for any true coffee lover. If you are visiting Zagreb for the first time and you want to explore the local coffee scene, the easiest way to do so is to start Trg bana Josipa Jelačića, the main square. All coffee shops are located nearby, within a 10–minute walking distance. Take it from here and enjoy! Thankfully, some ten years ago, one guy changed everything when he opened a coffee shop where smoking was not allowed. His name is Nick Oroši and he is the owner of Eliscaffe. In the beginning, Oroši had Illy coffee in his coffee shop, but very soon he introduced his guests to speciality coffee. He was a coffee pioneer in Croatia in many ways. 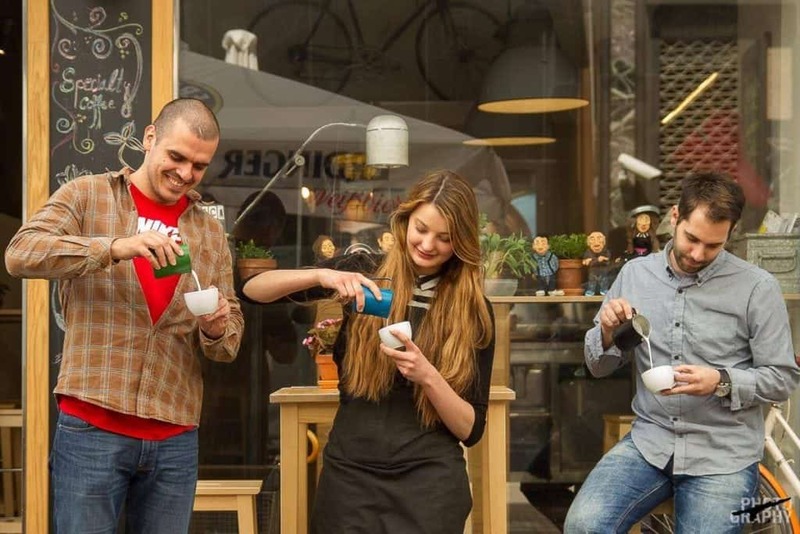 Oroši became the first Croatian barista champion and overall he won the title four times. 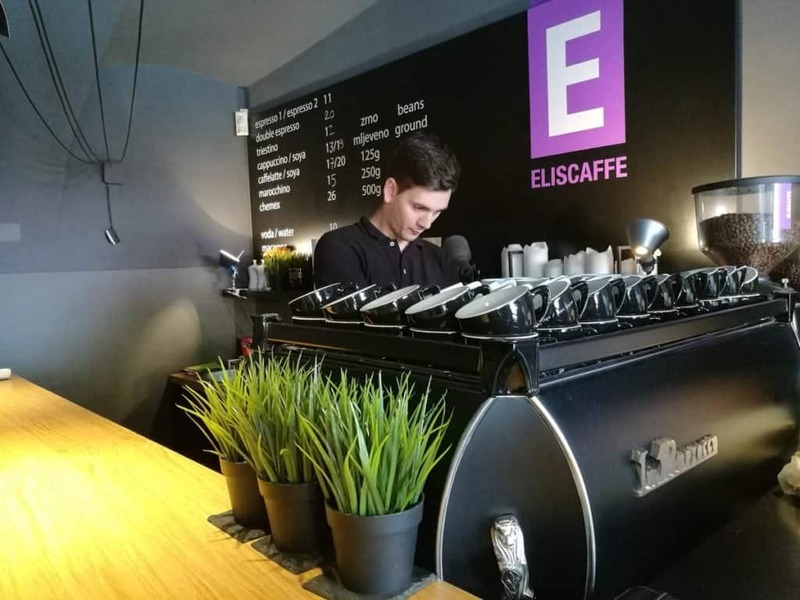 Also, Eliscaffe was the first coffee shop with proper coffee equipment for brewing and, as a roastery, Eliscaffe set the standards for everybody else in Croatia at that time. Eliscaffe is a coffee shop small in size, but with high quality of coffee. The best thing about it is their coffee–only menu. A few years after Eliscaffe, second coffee shop opened in Zagreb that changed my life completely. At that time I had already been working as a barista for a few years, but I had not had an opportunity to work with speciality coffee yet at that point. 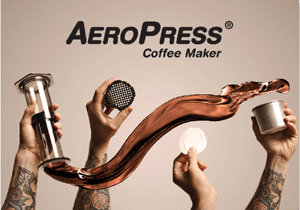 I also had not known any other brewing methods than espresso. 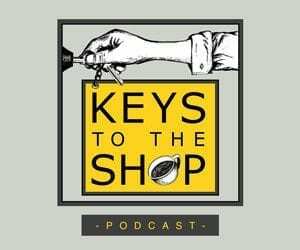 Once I heard of Teneo coffee shop and their workshops for baristas I decided to join the workshop to learn something new. It was a great opportunity to learn from a barista who gained his knowledge in Berlin, Germany. Entering the course I was amazed how much I didn't know about coffee! Even more so, I was surprised to learn that I could drink an Ibrik coffee without adding any sugar or milk in it! It was the first time that I tried coffees from Costa Rica and Guatemala. 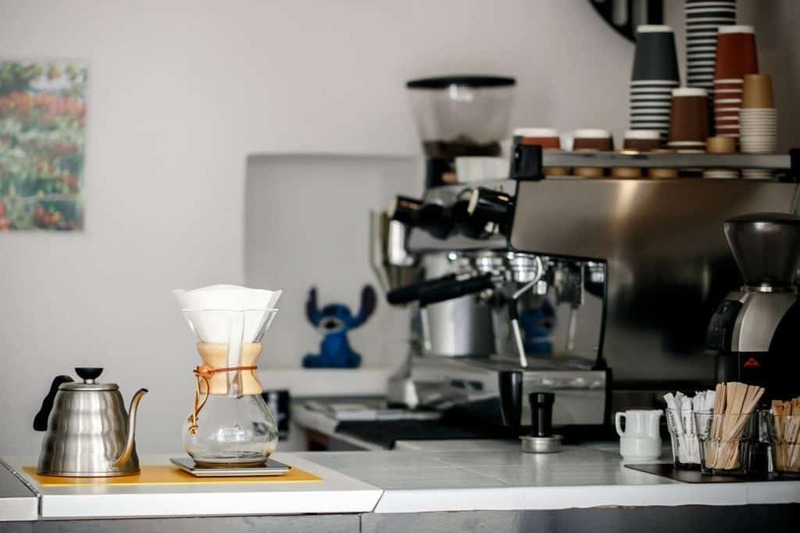 When I saw and brewed a coffee with a V60 and a Siphon for the first time, I was instantly hooked and, then and there, decided that speciality coffee was what I wanted to do. Usually, people who work in coffee industry in Croatia seek job opportunities in other countries. Christian Cviljak, the owner of Teneo, moved back to Zagreb from Berlin though. Teneo Coffee is a small place and is the only coffee shop in Zagreb where I can enjoy drinking blends with a small amount of robusta. 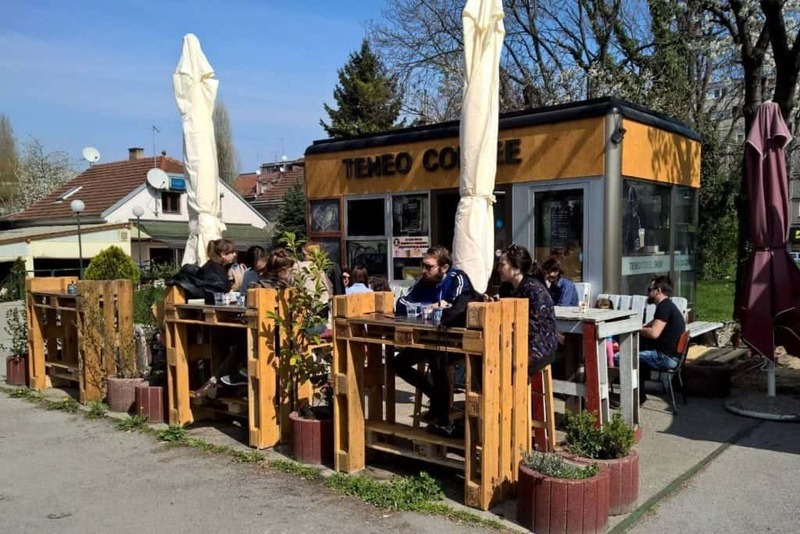 Still to this day, Teneo is the only coffee shop in Zagreb with regular workshops. Cafe U Dvorištu was the first place in Zagreb where I tasted the perfect espresso. The cafe was open by Matija Belković seven years ago. Belković fell in love with speciality coffee while he was studying in Boston. 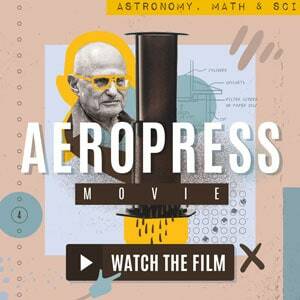 He started his coffee endeavour with imported beans from international roasters that he brought to Zagreb. Today, when you enter the shop, you can see the red La Marzocco FB80 on the bar. This is where a skillful barista does his magic. The place is a great coffee shop with a unique atmosphere, although it is a smokers’ cafe. It is very casual and besides great coffee, you can enjoy a nice selection of beers, too. A 10–minute walk from the main square, the cafe located in the backyard of a block of buildings is the perfect spot for a coffee. They also host regular book evenings. 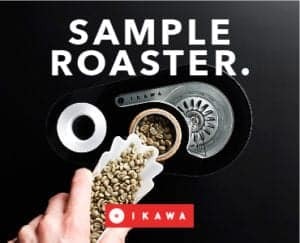 After his beginnings with international roasters, Matija Belković teamed up with Matija Hrkać (who ranked 7th at the World Barista Championship in 2012), and together, they opened a roastery called Cogito Coffee. Soon, their coffee became very popular and now they are the best roastery in Croatia. In addition to roasting, they also run a coffee shop under the same name. It is a small sanctuary for all coffee lovers. The menu also offers a wide range of teas and really delicious ice-creams. The shop was designed in a minimalist, industrial style by the owners themselves. When I moved forward to working with speciality coffee, I was lucky to have Hrkać as my trainer. Not only did he teach me how to make good coffee, he also taught me how to develop as a barista and find my own way. I am very grateful to have worked, as their first barista, at 42 Coffee Co. Since before the coffee shop was opened by Kristijan Krasnić I’d run coffee trainings for the cafe and then continued working there as a barista after its opening. 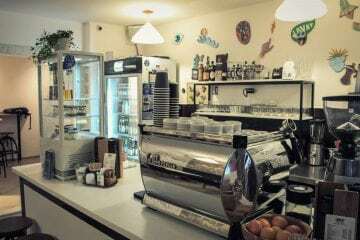 It was the first coffee shop in Croatia that had a La Marzocco Strada coffee machine and a Mahlkonig K30 grinder. It was amazing how excellent coffee you could get using those machines and if you made coffee with care. I also have to give 42 Coffee Co. the credit for introducing Zagreb to the concept of ‘Community Table’. Other businesses followed shortly after. The Community Table occupies most of the space in a shop and allows up to 16 guests to sit around it. It encourages communication between them, and little does it matter if they know each other or not. 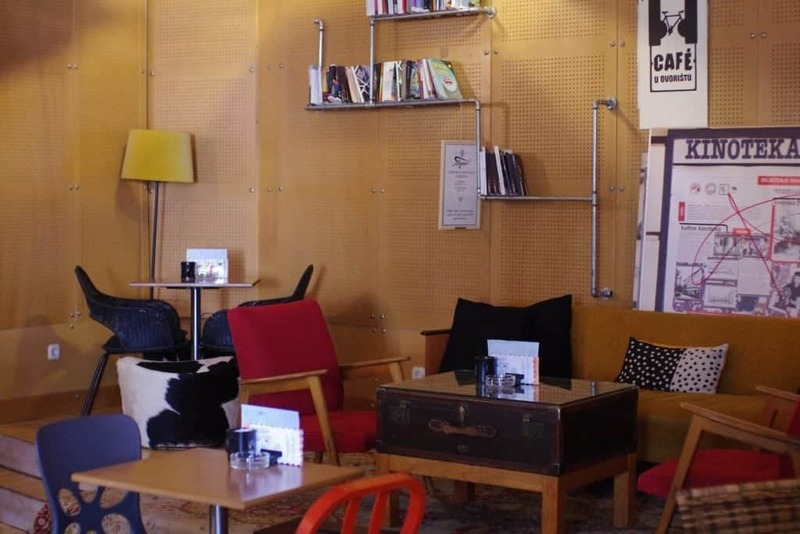 The cafe designed in an industrial style welcomes you to enjoy a cup of coffee in the centre of Zagreb. At the end of the last year they started roasting coffee on 5-kilo STA roasting machine in their shop. During my time at 42 Coffee Co., in cooperation with several other coffee shops in Zagreb, we organised the first Croatian Latte Art competition. 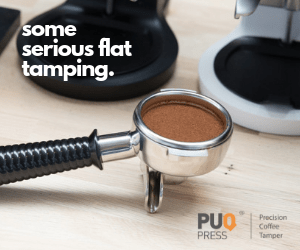 It was quite a successful event, and as a result, more coffee shops put the effort into serving coffees with quality latte art. A few hundred meters from the main square, there is another special place for coffee addicts named Express Bar. Owned by Ivan Leko, this place is perfect if you want to try different kinds of coffees which they rotate almost every week. Usually, you will find coffees from Cogito Coffee or Square Mile Coffee Roasters. The coffee shop is divided into two sections, one is for the smokers, and the other, where the bar is located, is for the nonsmokers. They also have a large terrace to enjoy your coffee in the Sun. 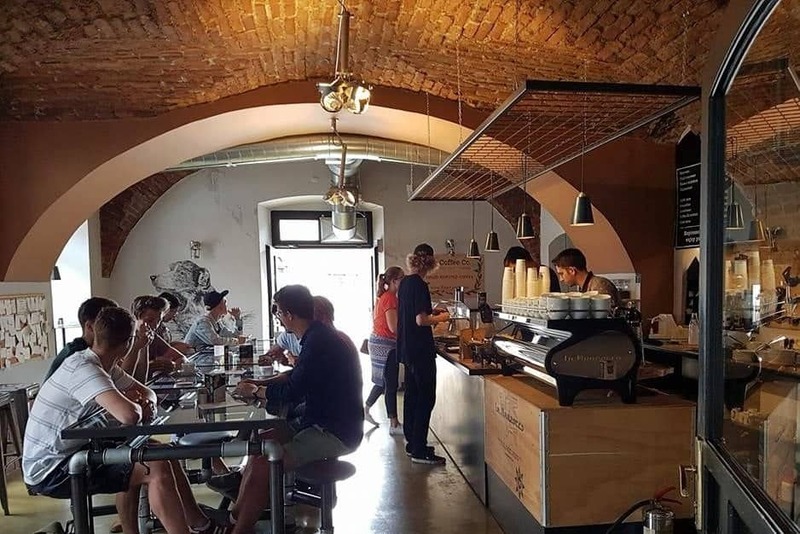 Speciality coffee in Croatia is primarily situated in Zagreb as it is much harder to open a speciality coffee shop in cities where robusta is still popular today. Luckily, that did not stop the coffee enthusiasts from opening third wave coffee shops at the Adriatic sea. Bueno Coffee House opens all year round! In the northern part of the Adriatic sea, at the island of Lošinj, Elvis Lukša took over the coffee shop Bueno Coffee House in 2009. 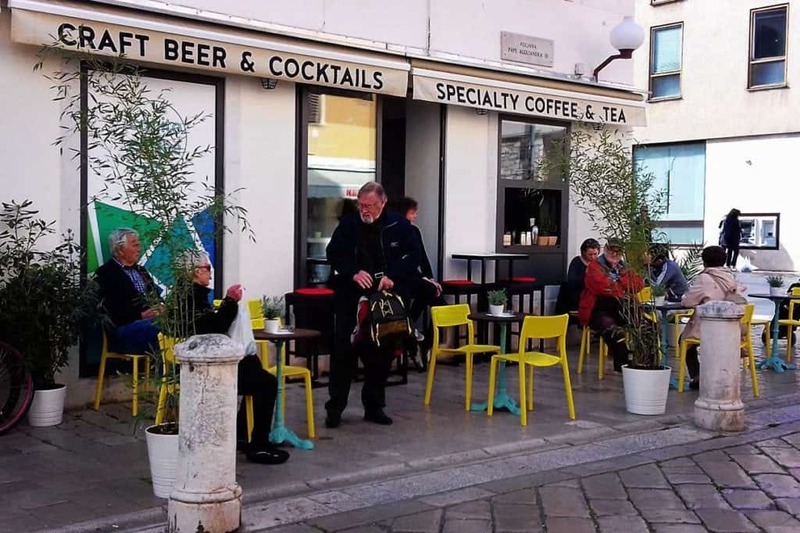 The cafe is located in the city of Mali Lošinj and it welcomes guests through all four seasons—perhaps an unusual phenomenon in a summer-tourist-oriented destination. In 2012, Bueno Coffee House started their own small roastery with a 1–kilo Topper roasting machine. 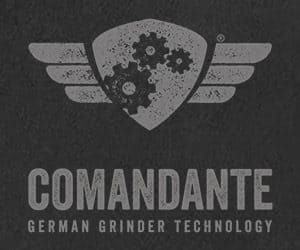 There are always two different blends and one single origin coffee on offer, prepared on recently installed La Marzocco Strada and Mythos grinders. During hot summer months they offer a variety of delicious ice creams. Those have become very popular with their guests. In summer of 2015, Split, the second biggest city in Croatia, finally got their first speciality coffee shop. 4coffeesoul in Split is quite a special place. It is located inside the walls of the old Roman Diocletian's palace. The coffee shop is no bigger than 9 square meters, enlarged with their fantastic hospitality. Like many speciality coffee shops, they also have a La Marzocco machine and they have their coffee roasted specifically for them. Besides espresso drinks, they also serve great filter coffee and cold brew. It's the perfect option for a coffee break here, while exploring Split. 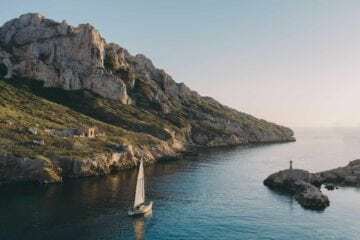 What does the future hold for Speciality coffee in Croatia? The development of Speciality coffee scene in Croatia is still going slowly, but Croatians are more aware of the roasters that have started spreading throughout the country. Unfortunately, because there is no SCA chapter in Croatia, in the last four years there were no national barista championships which would have been a good opportunity for baristas to learn and develop. For now, the scene is gathering during local latte art throwdowns and other events. Hopefully, in the next few years, things will be better and speciality coffee scene in Croatia will flourish. Dejan Ganžulić is the owner of Imperija kave, a company that focuses on sales, education and consultation services, marketing and event organization. He also runs Kavopija blog and plans to organize the first coffee festival in Zagreb.